Post match review: Liverpool 4-0 Newcastle United. Together we MUST remain UNITED! Well…. That was tough to watch I think we can all agree. From a toothless attack to a woeful defensive display we were certainly more a Christmas pudding then a Christmas cracker… and that’s as nice as I can put it… being PC n all… We lined up a little bit strangely with 6 changes from the Fulham game. A surprising line-up to say the least! 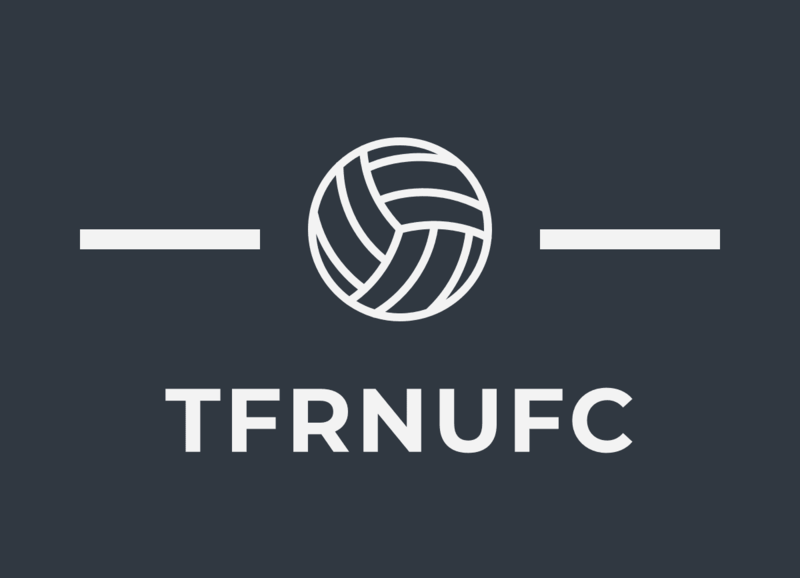 We began decently in the first 10mins, we kept the ball decent at first and provided a momentary glimpse of hope… false hope… but none the less a ball down the left hand side with Matt Ritchie who whipped in a very inviting cross for Joselu to glance his header agonisely wide of the far post. And as the old saying goes when you don’t take your chance you open it up for the opposition who made absolutely no mistake… A short corner by Xherdan Shaqiri was knocked to the far post by Alexander-Arnold looked like it was going nowhere, back post with 3 Newcastle defenders around it when Jamaal Lascelles decided to gently head it straight into the path of the waiting Dejan Lovren who blasted his volley firmly past the helpless Dubravka and into the roof of the net, A horror show for the captain. 1-0. Newcastle held on decently well and kept the home sides attacks to the edge of the D with no Liverpool attacks to speak of from their goal to the break. Salah delightfully accepts the gift of a penalty given to him by dopey Dummett. The second half was an entirely different story and began in the worst possible fashion. Mohamed Salah marched into the toon’s penalty area with 2 defender’s marshalling him when a disastrous move from Paul Dummet who held the forward’s shoulder basically begging him to go over which the Egyptian obliged to and went down, albeit very easily! So up stepped Salah to calmly and coolly slotted it home, 2-0. Liverpool then began to boss the game with little to no reply from the Geordies. 52nd minute Jamaal Lascelles had another momentary lapse as he casually passed it out into the path of their forwards, Alexander-Arnold passed it along the goal line and thankfully Fernandez was there to calm the nerves for the time being. Then a good break up the right hand side by Yedlin was matched by a delicious cross to the head of again… Joselu who in a carbon copy effort glanced it wide of the far post. from the 65th minute onwards it turned into an attack vs. defence drill with Liverpool absolutely bossing it, bar for a brief encounter when Hayden slid a good cross just wide. A nice moment in the 72nd minute when Sean Longstaff was handed a league debut, nice to see. But just minutes later an attack ensued to which our defence had no answer when the ball was swept nicely into the path of Alexander-Arnold who passed it perfectly along the goal line to the thankful Xherdan Shaqiri who just had to tap it in, 3-0. The full backs of Liverpool were the main problem for us today with Arnold and Andrew Robertson at their dynamic and brilliant best. The horror night was finished off in the 85th minute when a corner on the far side from Salah was met by the head of Fabinho who was embarrassingly watched not challenged by Mo Diame who had his poorest game in some time, 4-0. That brought the nightmare to an end thankfully and gives Rafa some thinking time before we travel to Watford. BIG changes needed and a few home truths need said! Martin Dubravka – 6: Didn’t have a chance for many of the goals, made a couple of decent blocks and one good interception with his head. Deandre Yedlin – 6: Made A few decent runs down the right and made a few decent tackles. Meh. Jamaal Lascelles – 3: One of the very worst players on the pitch today, didn’t do anything with any confidence and was the fault for the first goal and gave the ball away a lot of times! Poor from the skipper. Fedirico Fernandez – 7: Probably our best defender on the day. Made a few good blocks and tackles and was unlucky to be a part of that dire back 5 today. Paul Dummett – 4: Another disaster artist today, one of many. Gave away a stupid penalty and had a few switched off moments which infuriated the away support. Matt Ritchie – 5: Was slapped into left wing back and let’s just say he did his best. Nothing more or less then that he grafted. Mo Diame – 4: He seemed to revert back to his confused and lazy self from the championship days. Made no impact going forward or in defence in a dire display. Kennedy – 4: Another contender for worst performer. Is there an attitude problem with this boy? He has been shocking for the last 5-6 games and seems to just swan into games with some sort of confidence with flicks and tricks to nowhere. Isaac Hayden – 6: He actually wasn’t bad at all today big Isaac and showed something of the promise he had when he joined. He battled well, offered some decent attacking moves and grafted all game. Yoshinuro Muto – 5: Offered very little at all today the Japanese International. He ran around and buzzed near the centre backs but never got any service nor did he get any chances for himself. Joselu – 4: One of the contenders also with Lascelles just pipping him to the post. His hold up play was dire, his touches were heavy, his heading was way off the pace and he just seemed to live up to the negativity and the hatred towards his play. Shocking game. Liverpool shot to a six point lead in the title race thanks to us gifting them 3pts. So with the next month and a bit’s fixtures not being at all an exciting prospect with some really difficult fixtures coming up, lets group together and just support the lads on the pitch and pray for a miracle that Fat boy has decided to sell up in time for the January window… We can only hope and pray! Previous Liverpool Vs. Newcastle United: Match preview.